One of the questions I get asked a lot, and I mean, a lot, is whether we are in the midst of a “bubble” in CREtech. I think it’s actually a good question. If you read all of the headlines about the incredible pace of investing in the sector, the proliferation of the amount of new startups on the scene and valuations of some of the Unicorns in the space, I would be asking that very same question too. 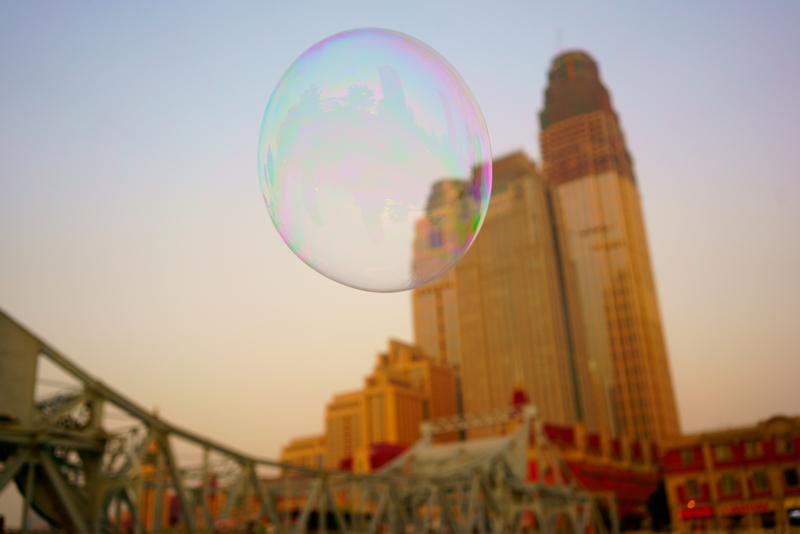 A true investment “bubble” implies that values are bloated and ripe for a correction. That a correction or crash is needed to reset valuations and bring a sense of normalcy and rationalization back to the specific marketplace in question. And given that definition, we aren’t anywhere near that type of marketplace in CREtech. Yes, money is flowing like crazy into the sector. On average of approximately $700m per month in the U.S. But that figure is grossly misleading. If you breakdown where the funding is going and coming from, it’s a select few that are eating up the lions share of funding .In fact, if you calculate the size of the average round these days, the needle hasn’t really moved that much from a few years ago and if you talk to most startups, funding is still very hard to come by. Also, if you look at the sources of funding, their is a growing ecosystem being led by developers, brokerages and investors from within the CRE sector. And it is still such a small percentage of the entire CRE sector that is actually involved in tech investing and that number is ONLY going to increase in time, not decrease. Lastly, a great many startups today are actually generating revenue and scaling their business. Many bubbles burst in the past because tech companies were propped up with huge speculative funding rounds that were not based on sound business models. That is NOT the case in CREtech. So many startups I interact with daily are scaling, growing revenue, and building outstanding teams. Now, don’t get me wrong, I don’t want to appear to be some naive shill for the sector. Pain will happen. Many startups simply won’t succeed. But, it won’t be some speculative bubble that shuts their doors. It will be because their products didn’t solve market pain points, due to leadership that wasn’t equipped to scale a company, and also because of poor timing. And yes, I do believe there are a few companies whose valuation is crazy and not sustainable. And I also feel strongly their is a wave of consolidation and M&A coming in 2019. So, change is needed in the air. I would actually argue that we are in such an early stage of the tech sector in CRE, that we will in fact experience another two years of growth and adoption before any material slowdown comes. And that will only be as a result of the sector achieving maturity after years of adoption and growth. Get your content, news and products featured on CREtech. Discover the commercial real estate industry’s hottest startups, VC’s and thought leaders. CREtech is where the commercial real estate industry comes to discover all things tech. Our mission at CREtech is to connect the commercial real estate and tech sectors, bringing a new age of innovation and growth to the industry. COPYRIGHT ©2019 CRETECH. ALL RIGHTS RESERVED. THANK YOU FOR SUBSCRIBING TO CRETECH. YOU WILL RECEIVE A CONFIRMATION EMAIL SHORTLY.